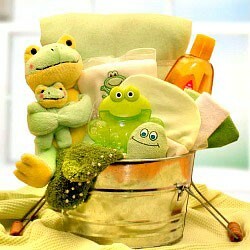 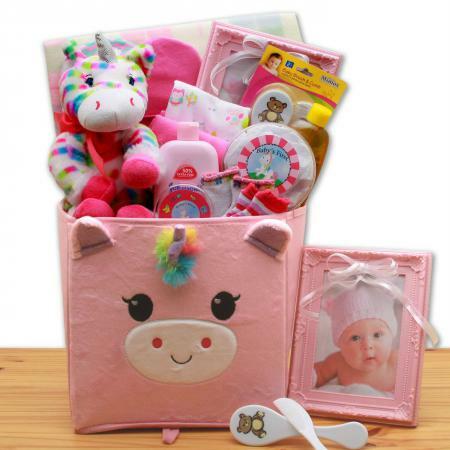 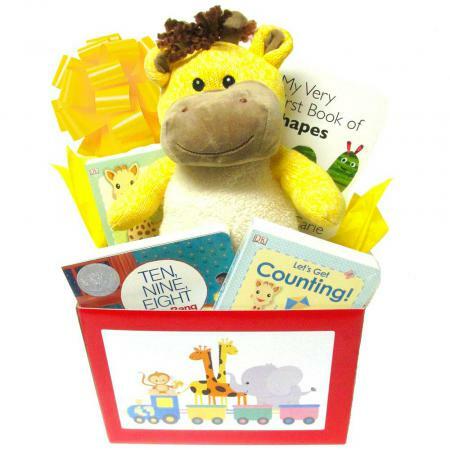 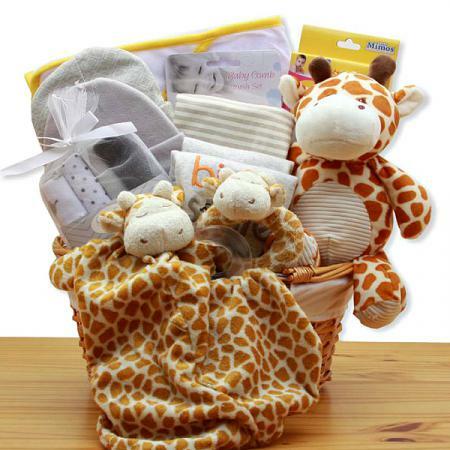 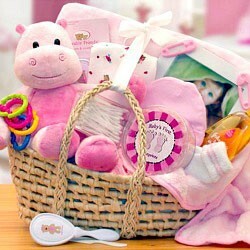 They will go bananas for this super cute baby gift basket featuring a collection of high-end new baby gifts. 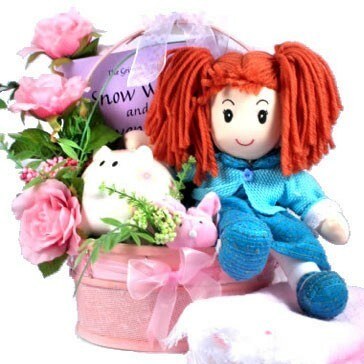 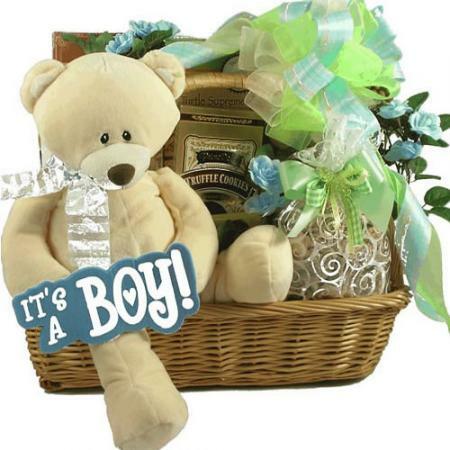 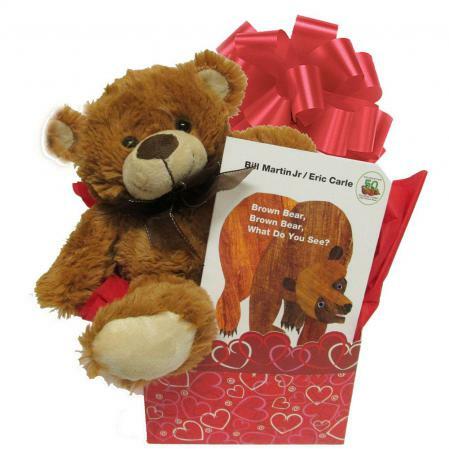 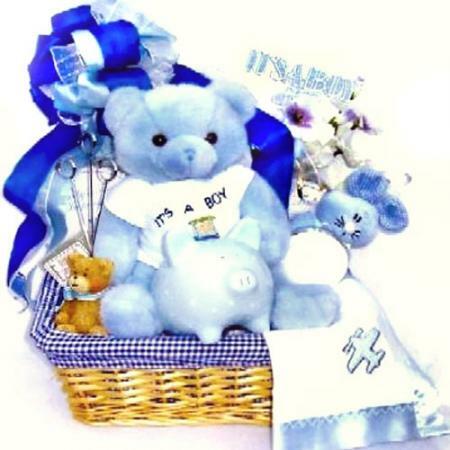 It is adorable and makes a wonderful baby shower gift or welcome home gift for the new arrival. Among other things, this gift includes a collection featuring the cuddly monkey “Giggles” from the famous Bearington Baby collection of gifts. 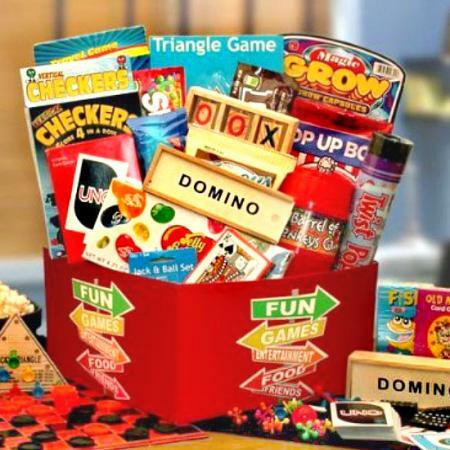 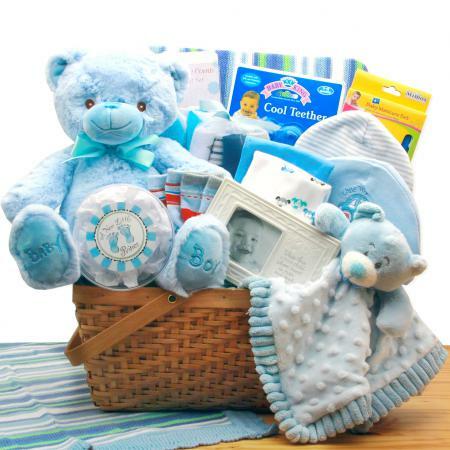 They will treasure this gift basket and all of the beautiful accompanying baby items in it for years to come. 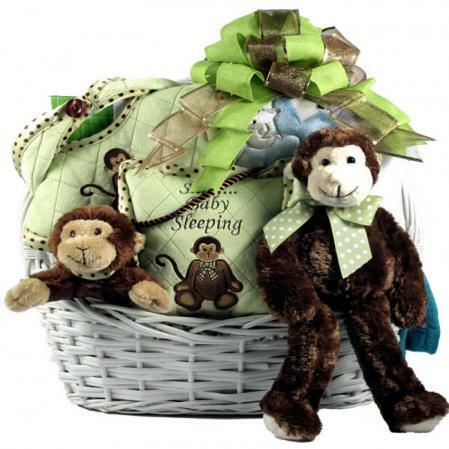 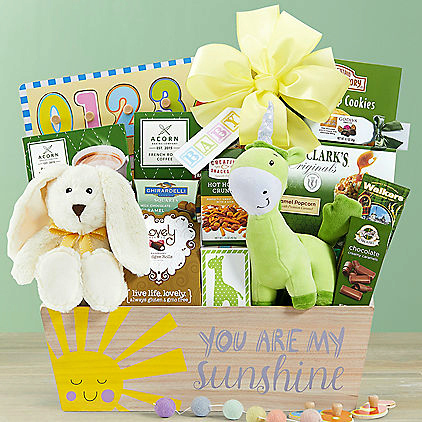 Get ready for all of the oohs and ahhs and other such monkey business when they receive this huge and beautiful baby gift basket! 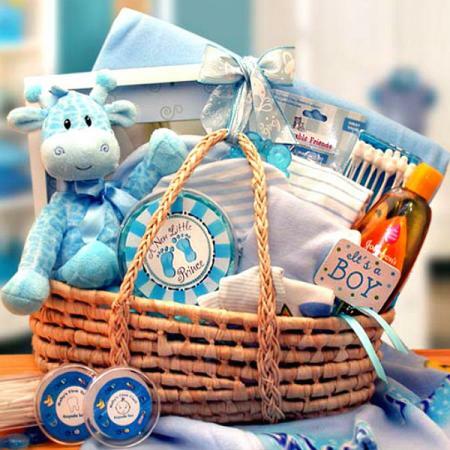 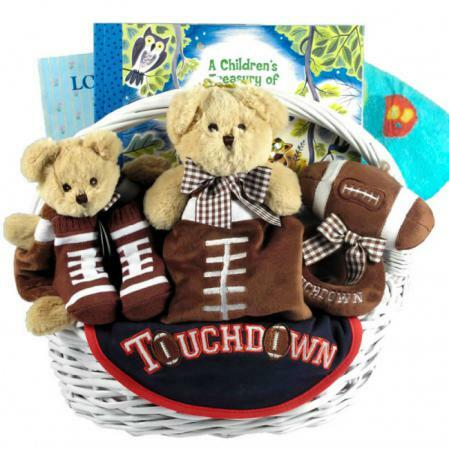 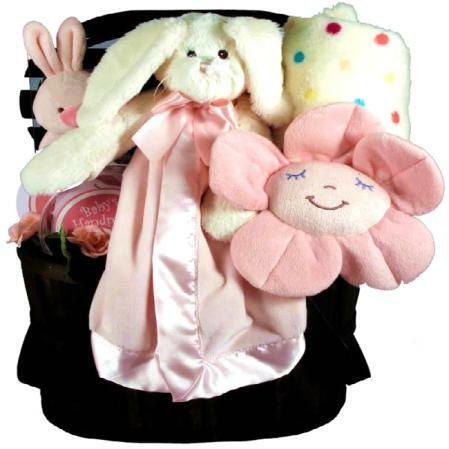 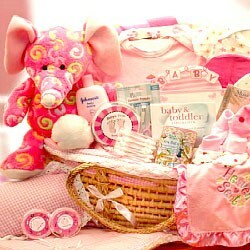 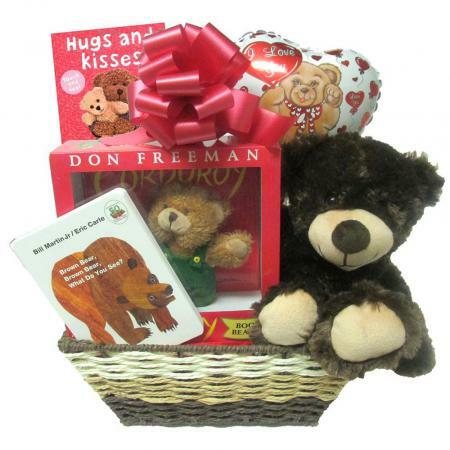 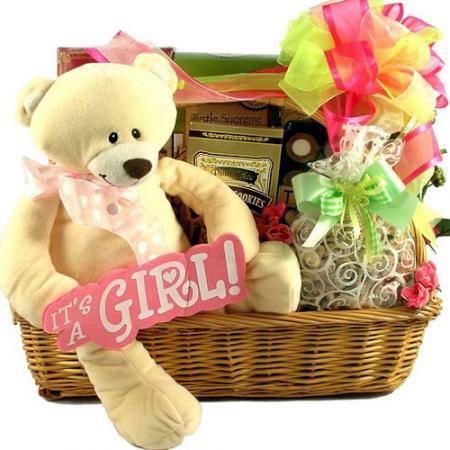 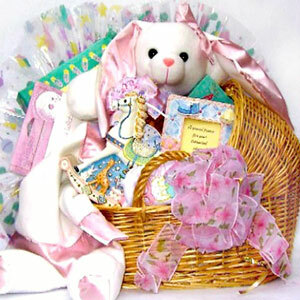 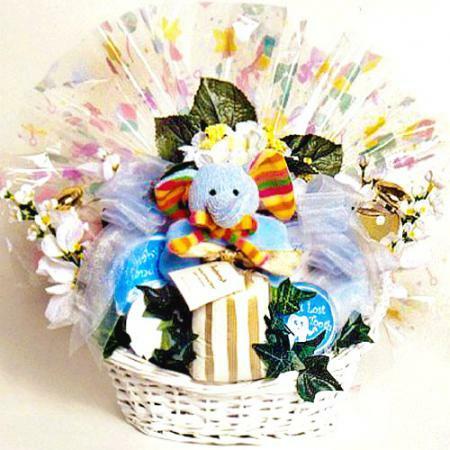 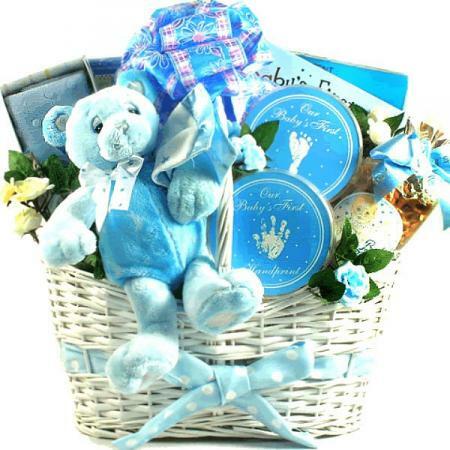 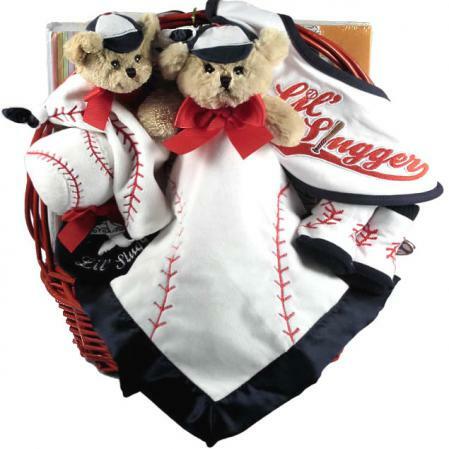 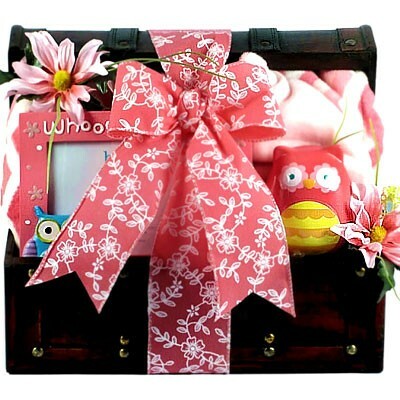 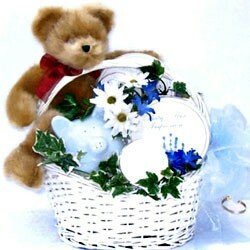 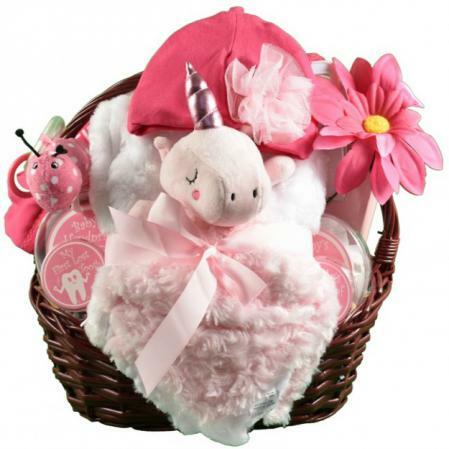 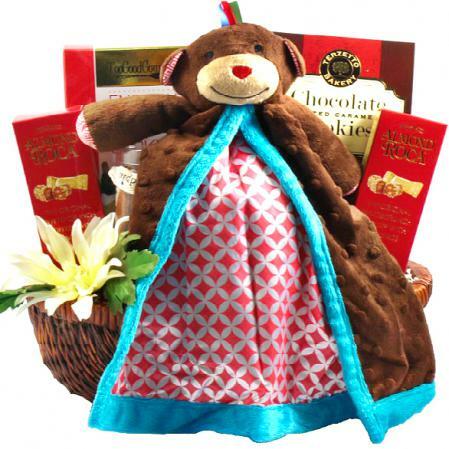 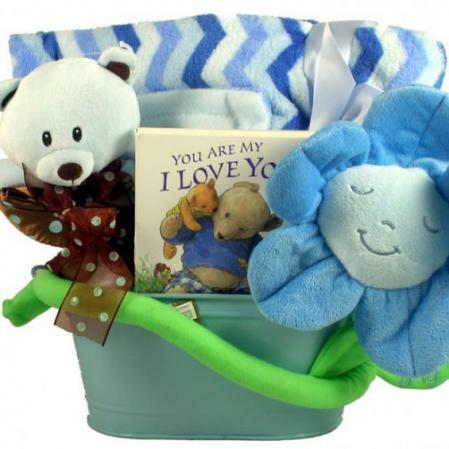 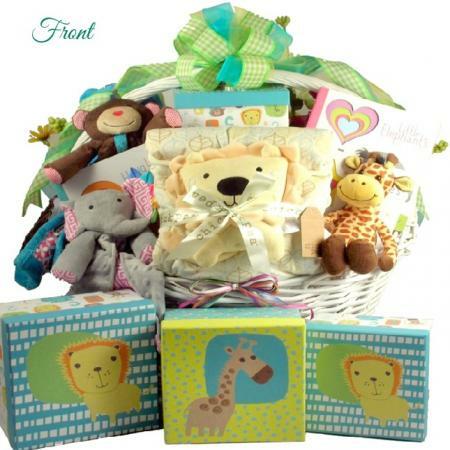 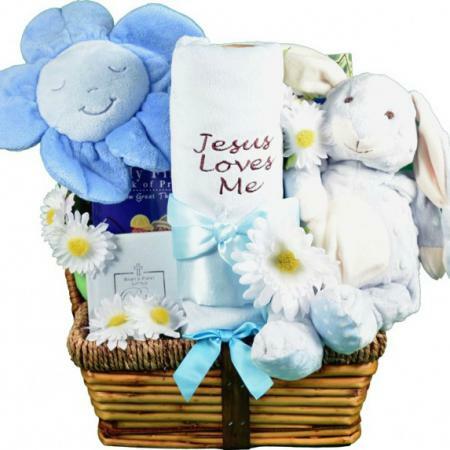 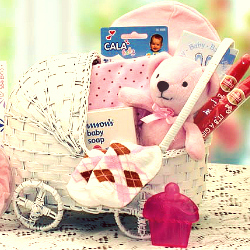 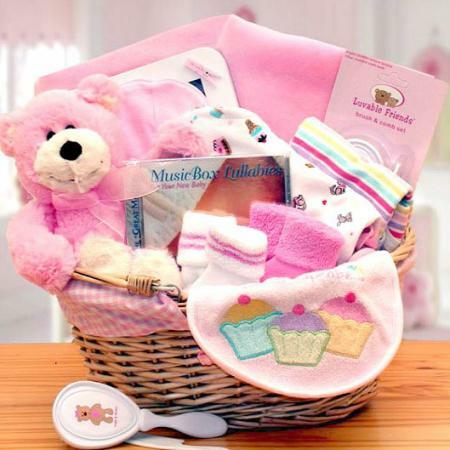 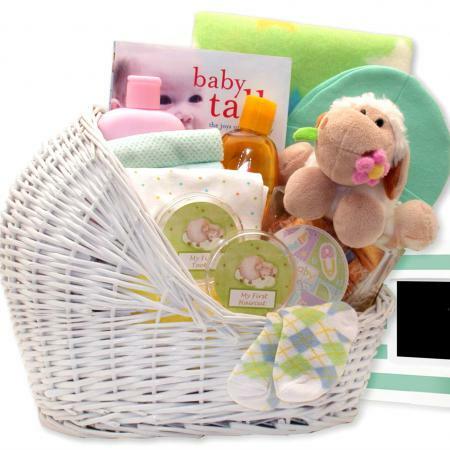 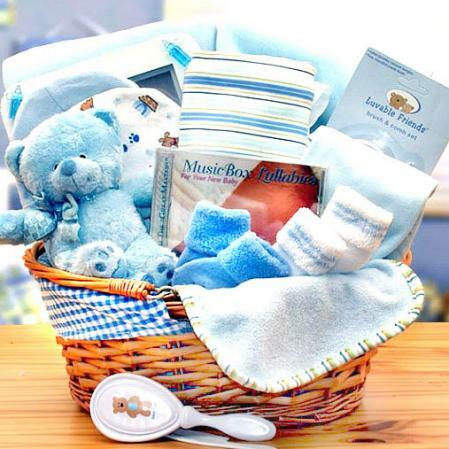 This beauty is the perfect baby basket to take to a baby shower or welcome a new baby home from the hospital.